Note: Term starts 1 May 2019 and ends 3 July 2019. The Junior 1 class is intended for students with no or little background in French. It follows a set progression and focuses on the four core areas: speaking, reading, writing and listening. Students will learn French grammar, sentence building, and vocabulary in a friendly yet stimulating environment. 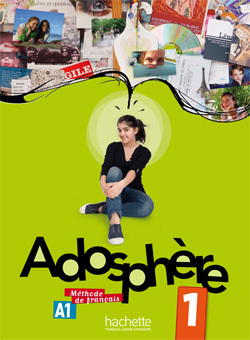 Throughout the year, students will be using the book and exercise book Adosphere level 1. A5 "Alliance Française" notebook to write your lessons, and do your exercises!